Don’t settle for stale Doritos and a microwave Kraft Mac when the munchies hit you this 4/20. Instead, savor some Frito Pie Casserole and Lobster Mac & Cheese like the adult you are now! 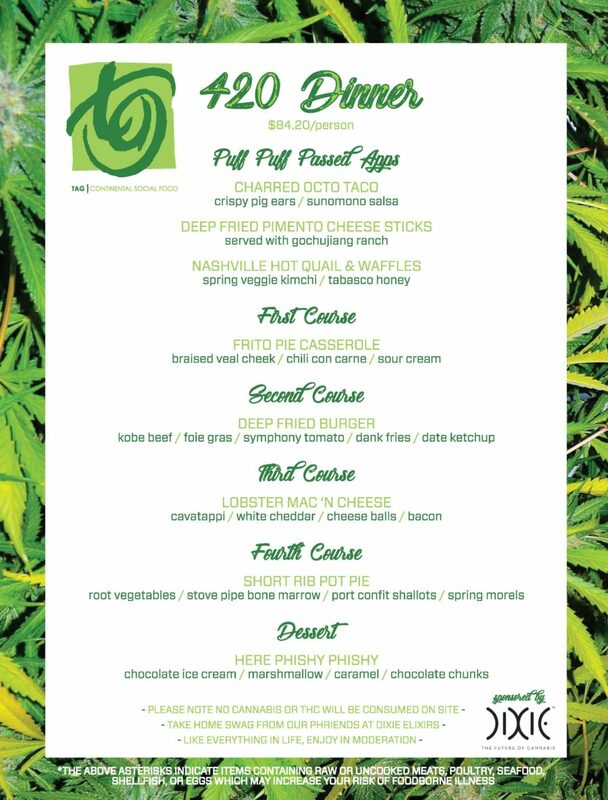 Join us for a 420 Inspired Dinner at TAG and elevate your snacking to 5 courses, passed apps, and dessert. Get your tickets here.